DESIGNED TO IMPROVE THE RESOLVING POWER AT THE EDGES AND CORNERS OF THE IMAGE BY A VALUE OF 2 F-STOPS MAKING IT POSSIBLE TO PRODUCE IMAGES WITH SHARP EDGES AND CORNERS. 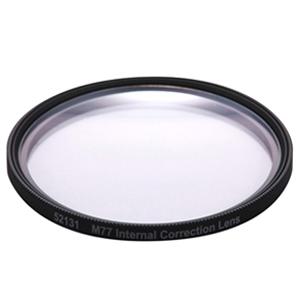 When used with a 77mm diameter wide-angle zoom lens, the lens corrects image aberration and distortion*. The lens helps reproduce clear images when mounted on a compatible lens for interchangeable lens cameras (full-frame SLR cameras). * Field curvature and distortion are rectified by approximately 2 f-stops value. Construction: Optical glass (AR-multi-coated on the both sides) and corrosion-resistant aluminium alloy. When used with a 82mm diameter wide-angle zoom lens, the lens corrects image aberration and distortion*. The lens helps reproduce clear images when mounted on a compatible lens for interchangeable lens cameras (full-frame SLR cameras).